We had a KTM Duke 200 that came in for something that seemed simple enough to fix. The throttle wouldnt return back to its stop. And the bike would settle into an idle of around 3000rpm before slowly settling down. 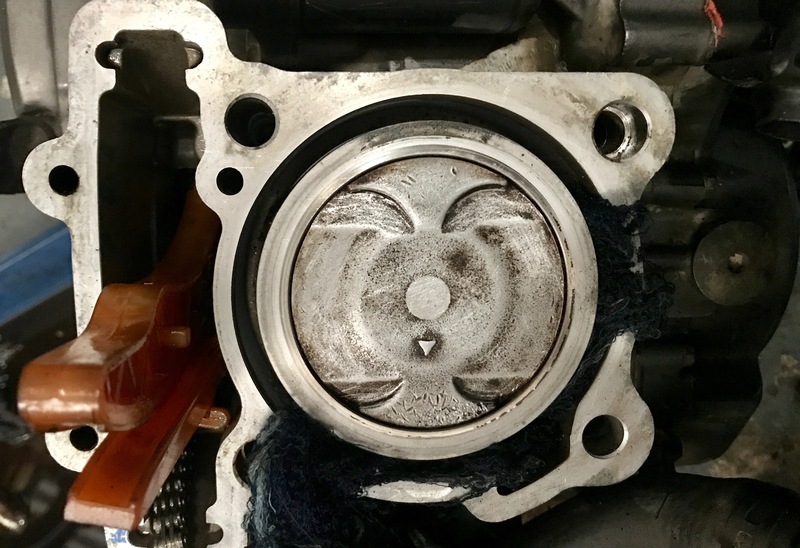 We actually opened the throttle body and repaired the o-rings as opposed to buying a new throttle body. We took that opportunity to open up the top end, check valve clearances and replaced the shims. 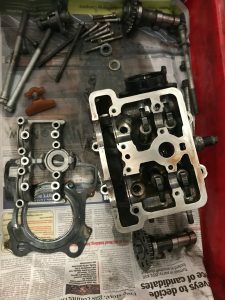 (KTM doesn’t sell the shims indivdually and only as a complete kit – 1600/- for a kit that doesn’t have duplicate shims). 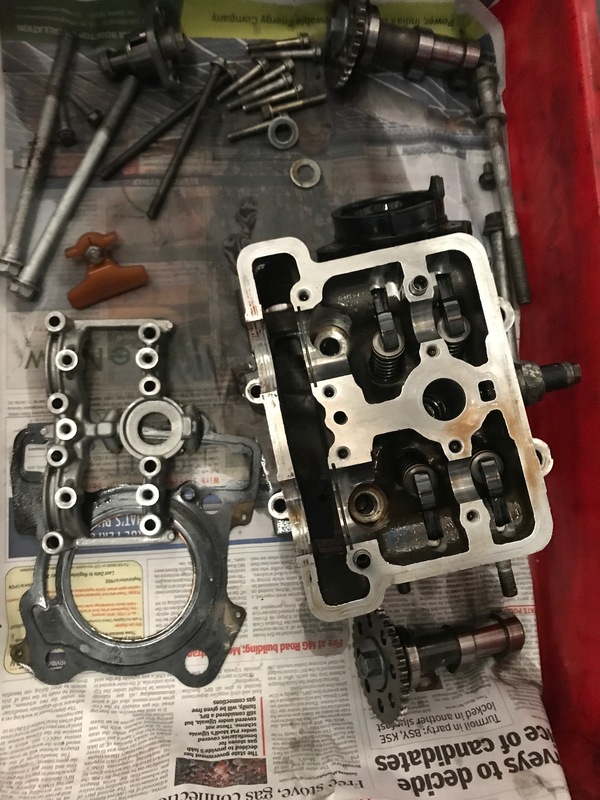 So the customer got a complete clean up of the top end with fresh gaskets.